The flavor here comes from the amount of lime and also the acid from the cornichons, so if you need to add more do so. Trevally would be a good substitute if you can't get Kingfish. 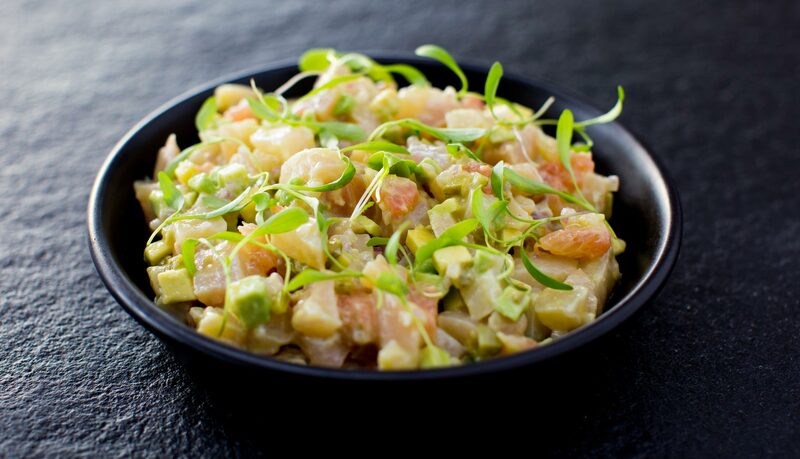 Combine in a small bowl the kingfish, grapefruit, shallot and cornichon. Fold gently through then season well with the lime juice and sea salt. Arrange neatly on a small plate and garnish with coriander.